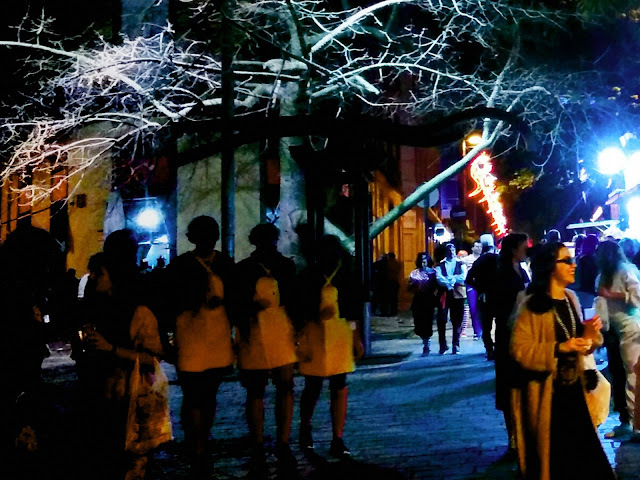 On the second night of carnival in the street, the First Aid post in Santa Cruz de Tenerife attended 114 people, 99 adults and 15 minors, according to the city corporation, 54% for excessive consumption of alcohol. This number is twenty percent lower than last year. Only 10 people needed to be transfered to hospitals for specialist tests or treatment, five for falls. Nine cases of agression were catalogued, none of any seriousness. Contrast that with the situation in A&E on a Saturday night in any UK city.